We've been tracking the big AMP crawl error and AMP issues in search over the past week. Yesterday Google confirmed it was a bug on their end and said they would fix it. 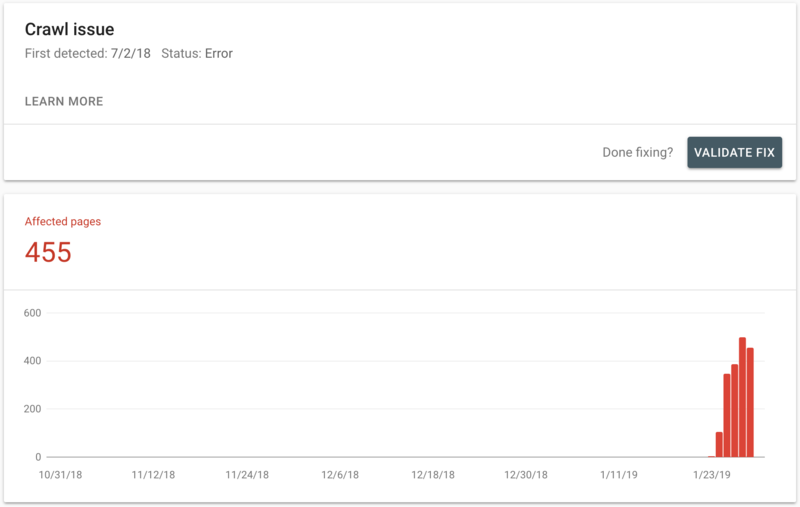 Today they documented the issue on their data anomalies page and RankRanger is showing AMP content coming back in the search results this morning. Some users may see elevated error levels of type "Crawl Issue" on their AMP URLs due to a processing error on our side. The issue is now fixed and error counts should return to their actual levels within few days.